This pine wood table makes a superb centrepiece in a dining space. 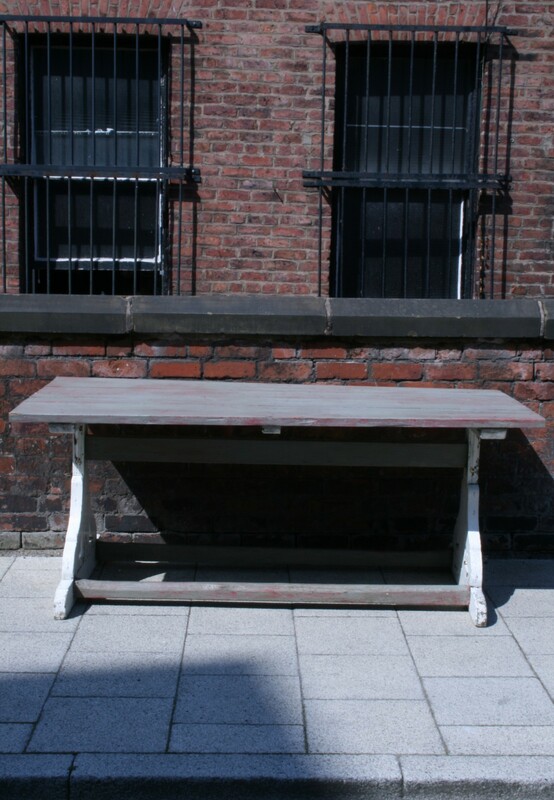 Its original paint combining layers of grey and red and white gives the table a rustic charm that can’t be imitated. The legs are carved into gentle curves whilst the table top consists of differently sized planks of wood, complete with characterful knots and distinctive grain.